Integrate systems, automate calculations, streamline approvals and deliver better financial management! Software R&D is increasing its footprint on your P&L, while at the same time software development is shifting to less prescriptive, more agile methods, complicating financial measurement and analysis. FocalOps solves this problem by efficiently integrating agile product management with accounting, finance, and corporate reporting. FocalOps is the only software solution that enables multiple methods of financial attribution to development efforts based on best practices being implemented across the industry. We want finance to have the flexibility to be more agile. Want to get rid of timesheets? Want to move to a $ / point system? FocalOps will enable that! Build financial measurement with limited adjustments and overhead to development team processes. Seamlessly integrate agile project management tools--like JIRA or Rally---with HR and accounting systems, eliminating manual exports and data merges. FocalOps allows you to focus less on the mechanics and more on the insights and decision-making. Embed all formal decisions (methods, expense types, authorizations, impairment, etc.) in the system to drive accounting treatment and financial summaries. No more searching for emails and memos to establish an audit trail. 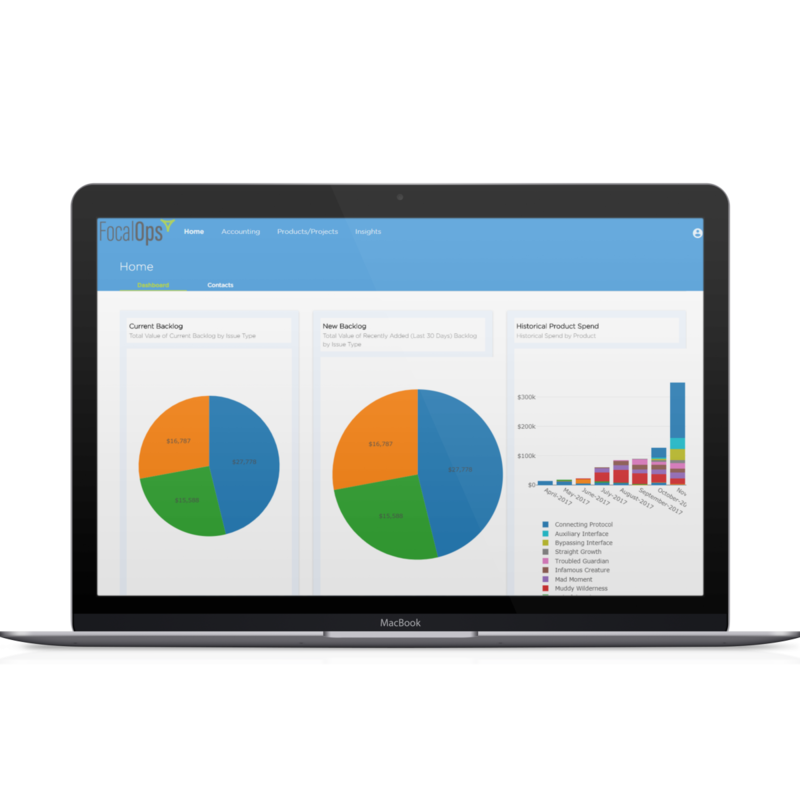 FocalOps provides a full financial view of software development KPIs and performance to budget through time in automated and customizable reports. Enhance the reporting and analysis of your software innovation lifecycle to inform better corporate strategy. Automate adjustment calculations based on process decisions implemented and documented in the system. Reduce your dependence on spreadsheets and manual entries. Our mission at FocalOps is to streamline and improve the connection between finance and software development to drive internal efficiency and improve transparency; ultimately delivering the necessary insights for solid corporate decision-making. We believe that the measurement and accounting process provides the foundation for broader integration to be built, and we believe that this process can be radically simplified at most companies.